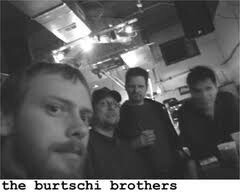 The Burtschi Brothers (burr-chee) is a four-piece band from Norman, Oklahoma,featuring Travis Linville, Kevin Webb, Rick Fogarty and Chris Foreman. 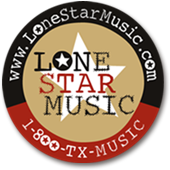 The Burtschi sound is based in a wide variety of Americana styles including country, swing, jazz, bluegrass, blues and rock and roll, and has developed over the last three and a half years into a hot commodity in the flourishing tex-homa music scene. Fresh, heartfelt songwriting combined with extraordinary musicianship has earned the Burtschi Brothers an extensive fan base and a great deal of respect from artists and venues in the music community. Known for their speedy fingers and “jazz meets hillbilly” sort of style, guitarists Travis Linville and Kevin Webb are widely thought of as one of the best guitar duo’s from the Sooner State. With an abundance of talent and a style like no other, the Burtschi Brothers are in a class of their own. Performing about two hundred shows per year has kept the “non biological” brothers busy making new friends and fans nearly every night. Recent stops in Nashville, Austin, Little Rock, Memphis, Dallas, and Jackson, MS, have been met with great reviews and of course the Burtschis have remained an Oklahoma and Texas favorite for the last four years. Artists and bands the Burtschi Brothers have performed with or opened for recently include music legends such as Willie Nelson, Asleep at the Wheel, Junior Brown, Leon Russell, Ray Price and Billy Joe Shaver. The independent release of “Uncertain Texas” in May of 2000 gave the Burtschi Brothers a quick start. Recorded entirely in Linville’s home studio, “Uncertain Texas” boasts unforgettable songs with stripped down production and has received an impressive amount of radio play in the Oklahoma region and elsewhere. In January of 2002 the Burtschi Brothers released their second studio project, “The Burtschi Brothers Ain’t Being Treated Right”. Recorded at Ray Benson’s (Asleep at the Wheel) Bismeaux studio in Austin, Texas, “Ain’t Being Treated Right” is nothing short of an Americana classic. From hard swing to rock and all the soft places in between, this album is a must have for any roots music fan. A relentless tour schedule and an ever growing buzz has helped the Burtschi’s spread their brand of honest roots music all over the countryside and has carved their place in the annals of Oklahoma “Red Dirt” music. Singer/guitarslinger Travis Linville recently accepted two awards at the first annual “Red Dirt Music Awards” for Musician of the Year and Best New Male Artist. The newest Burtschi project, “Live in Oklahoma,” was released in October of 2003. This two cd set offers a taste of the high energy live set and has boosted the popularity of the band to a new level. “The live show is really special,” says Linville. “The funniest compliment I hear all the time is, “I usually don’t like country music, but you guys are AMAZING!” What sets the Burtschi’s apart from other bands is the way their sound embraces traditional music styles and takes them to a new level. From country to jazz to just plain okie’ rock, the Burtschi Brothers are quite simply one of the finest, hardest working bands in the business today. I was blessed to listen to travis play solo @ the CCR benefit family jam...and well speechless...you rock dude! I came to travis Linville after I saw him at the Wormy Dog in Bricktown, Oklahoma City. He was doing a solo acoustic show, which is tough to do in such a big room. But, man, he was fantastic. He has a great voice and his songs have a tremendous amount of depth to them. So, I was very excited to get the chance to be one of the first to buy his first solo record, Hometown Blues. It is a full band arrangement of songs he also performs to stunning effect solo acoustically. So, if you see him solo or with a full band, you will get far more than your money's worth. Hometown Blues' title track is a up tempo tune that will be stuck in your head for days. My Soul Is In Your Hands literally tars the roof off. The guitar is amazing and the lyrics really connect with me. I could go on and on. Each song is strong and there is not a dud in the bunch. That is very rare to be able to say. I can't wait to catch another show now that I know the words to every song! What a great artist and a fantastic musician. Make note, there will be a reckoning. I have felt very blessed to have been exposed to the work and play of the brothers burtschi. The talent possesed by every member is amazing and the ability of Travis is staggering. At some point someone HAS to take notice and raise these men to their rightfull place in our local and national culture and resurect the greatness that WAS country music (utilizing jazz, blue grass, and other classic influences). In this day and age it's truly great when you find an artist that cannot be fit into a generation gap. Robert Johnson himself dances in his lonely grave to these tunes. 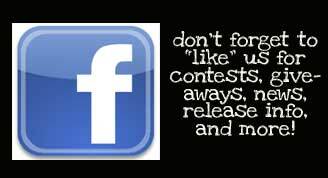 If you get a chance, buy a CD, AND go see a show. I promise you will not regret it! The BB are giving it up. So this is what the Tx music scene has come to. One of the best out there, BB is quitting while others with a fraction of the talent get all the buzz. It ain't right. It's getting where Hank couldn't make it in Texas or Nashville today. I saw these guys last night 8-6-05 at the White Elephant in FT. Worth .... What a great show! These boys can do it all ... lots of talent. 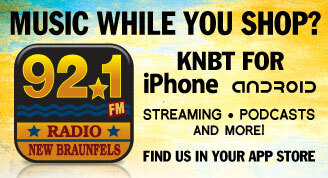 I am buying some of their music for sure and wont miss them in FW again. Caught these guys live and couldn't believe what I was seeing. Amazing, STELLAR musicians. Go to one of their shows and you'll freak like I did; they're one of the best bands out there. I went to a Mike McClure show a couple of months ago and the Burtschi Brothers were the opening act. This was the first time I had heard of these guys. I was really impressed with how good they are. Can't wait to see them again.